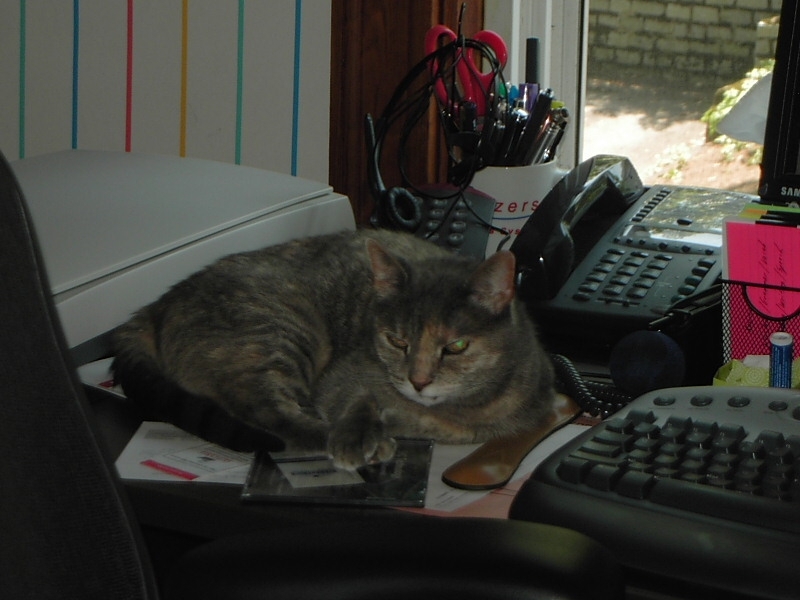 Katherine clearly needs to make more room on her desk for VIPs (Very Important Paws). Emily (who does occasionally get herself out of the bedroom) looks crowded there. We also now have published proof that Whitey thinks the keyboard can interfer with naps.